I just keep buying this, over and over! It works well in wax, as well as soaps. It’s a regular for me. 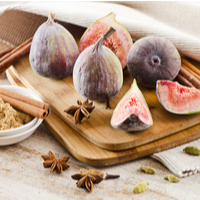 Its not sweet and has some spice to it I'm guessing from the fig. Either way, this fragrance is amazing and I get nothing but great reviews.